Chaturbhuj Temple in the walled city area of Jaipur is dedicated to the Lord Vishnu. The word Chaturbhuj translates into someone who has four arms, referring to the Lord Vishnu. This temple is on the first floor & can be accessed by a small staircase. It faces East direction. The layout of this temple is in the Haveli style, in line with the other heritage temples in the walled city area of Jaipur. While the specific year of the commissioning of the temple is not available, it dates to the 18th century. Chaturbhuj Temple was built by Paliwal community. The entrance is adorned with geometric patterns & floral designs. Hindu God and Goddesses have been placed over the geometric patterns on either side of the gate. A good deal of detailing has gone into the stone frame of the door too. Two ornate elephants are placed near the entrance, made of white marble. These elephants have been beautifully carved giving them an ornamental look. The entrance opens into a courtyard. A small temple dedicated to Garuda (Eagle God in Hindu religion) is placed soon after the entrance; facing towards the sanctum. The presence of Garuda, in temples dedicated to the Lord Vishnu, is a norm; Garuda being the carrier of the Lord Vishnu. The beauty of the temple lies in its fresco & paintings on the walls and ceilings. These paintings center on the life of Lord Krishna & Radha. The yellow and blue color is the most dominant one. The mandap has arched columns. The marble pillars have facets on its surface. A shloka in the Sanskrit language from Bhagwad Gita is written on the side walls which is made of lime plaster, called Araish. This lime plaster or Araish work is reminiscent of the bygone times. Today It’s impossible to recreate such workmanship. The temple is managed by the Galta Peeth, in Galta temple in Jaipur along with Roop Chaturbhuj Temple in the vicinity. Lack of maintenance is evident in the temple complex. The commercial activity in the vicinity certainly overshadows this otherwise beautiful temple. The dwindling number of devotees, lack of parking space, ongoing construction of metro line etc are taking its toll. But despite all this, it’s an impressive temple -Worth visiting! Pingback: Roop Chaturbhuj Temple, Jaipur ! | jaipur thru my lens !! Pernnille! It surely is beautiful! Happy Sunday! This is my first visit to your blog. I love your photos. They look like real life and capture beauty as it is. Wow! Such an ornate temple with stunning color combination! Wow – spectacular building and shots. 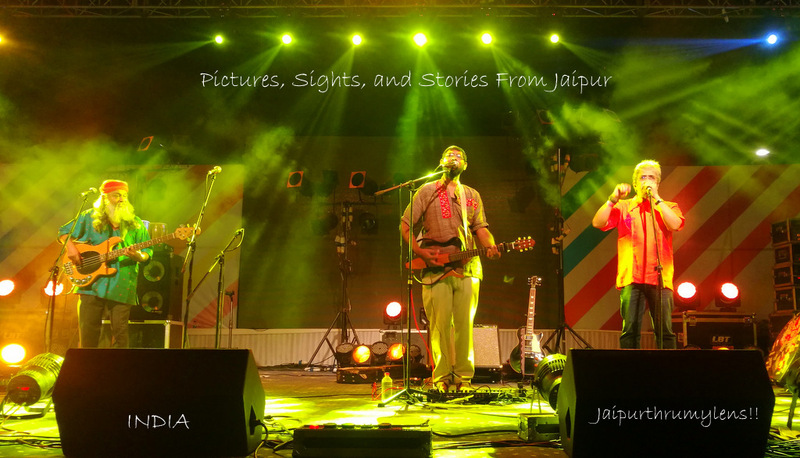 Jaipur through your lens is really beautiful! Tricia I ran through your post. You write so well -from your heart! Although I’m not much into NDE, this is first time I have come across such incredible blog.never knew this kind existed. Thanks! I will…I appreciate the comment. I was about to say that the maintenance is very poor before I read it in the end! It has a certain uniqueness to it which I didn’t see in any of the temples I’ve visited so far. Maybe the color of paintings is standing out, but certain of the works look before beautiful. It’s a shame we can’t ever care better…especially when we know the workmanship is unmatchable! We can call that that. And since people don’t visit, maintenance is low, so more people choose not to come – it’s a vicious cycle! It seems one day they will be only in books. You are right. We all have herd mentality. There have been surveys in the west which points out that even shoppers prefer outlets where there is some movement over the ones which are empty. Psychologically, it gives them some solace that they are going with popular choice. who knows this might be the case here as well! Another gorgeously frescoed temple ! Unfortunate that it isn’t preserved better ! Pingback: Roop Chaturbhuj Temple, Jaipur!….Beautiful Frescos! – Jaipur Thru My Lens !! That really is stunningly beautiful, Arv! Beautiful temple. Great write up and photos. I’ve been to Jaipur several times but have not seen this place. Where is this located? Going to Jaipur soon and would love to visit it. Happy to hear that you liked this temple and you will be visiting Jaipur soon! I can suggest you few more places to check out. let me know how you prefer to get information – email/ social network… will share information. Thanks. I’ve seen all the main attractions, but please do send some suggestions. Email is best. Next Next post: Doodh Mandi – Milk Market of Jaipur !